Living just a few miles away from New York City my entire life, the statue of liberty and twin towers were a common daily site for me. 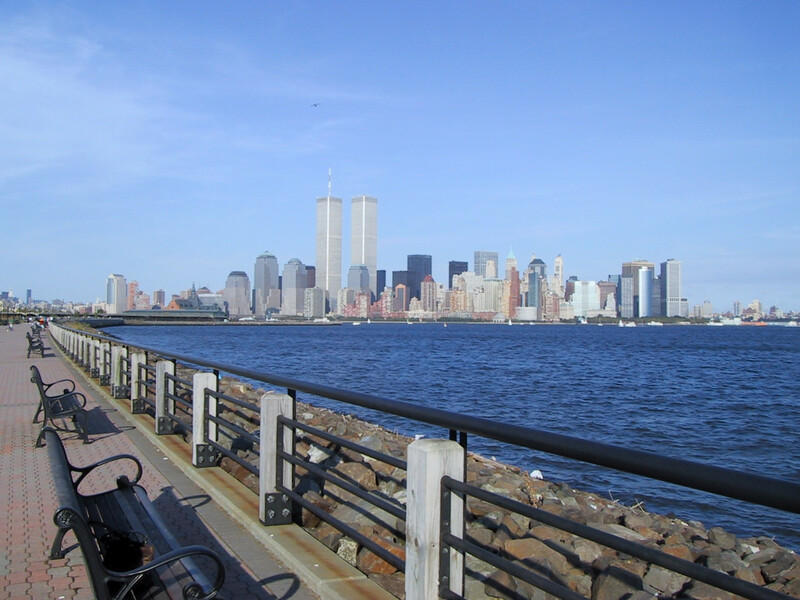 One day I decided to take a walk with a friend along the waterfront in Liberty State Park in Jersey City. I carried a point and shoot camera around with me the entire day without taking any pictures. Before leaving for the day, I turned around to my friend and joked that I felt it was a waste that I hadn’t taken a single picture. I don’t know why I didn’t take a picture of us or of something else. But, these were the only 2 pictures I took that day. At the time I was 22 years old and little did I know, these would be the first and last pictures I would ever take of the twin towers. These photos were taken on September 9th, 2001. The photos that I took on September 11th, 2001 were of smoking rubble taken just hours after the towers fell. Maybe one day, I’ll share those as well. The lesson for me…Don’t hesitate…Listen to your gut…Never Forget. This entry was posted in America, Nature Walks, Photography and tagged Along the Hudson River, America, Historic Landmark, History, New York City, United States, World Trade Center. Bookmark the permalink.